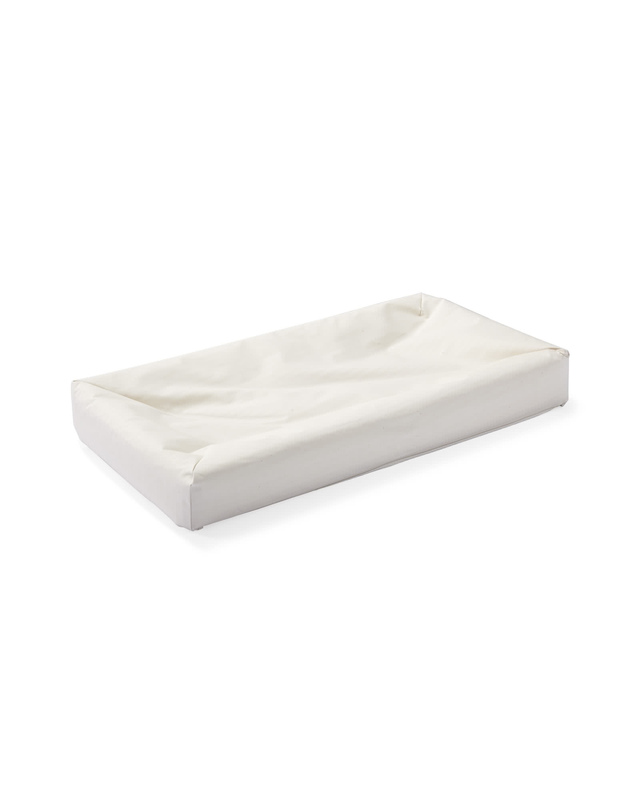 Naturepedic Organic 4-Sided Changing PadNaturepedic Organic 4-Sided Changing Pad, alt="Naturepedic Organic 4-Sided Changing Pad, "
Print Designed by a family-owned company in Ohio, this combines top-notch materials with hazard-free, heirloom-quality construction. A non-toxic surface made of 100% food-grade polyethylene is both stain-resistant and waterproof, making cleanup a breeze. Its Air-Core™ support layer provides a firm, comfy base, while the safety buckle and 4-sided contoured design help keep your baby secure while changing. Easy snap screws secure to any dresser. GOTS (Global Organic Textile Standard)-certified organic cotton fabric and fill. GREENGUARD Gold Certified, ensuring it meets some of the world’s most rigorous and comprehensive standards for low emissions of volatile organic compounds (VOCs) to improve indoor air quality. JPMA certified; meets or exceeds all US government safety, ASTM and CPSC standards. Features a non-toxic, stain-resistant, 100% food-grade polyethylene waterproof surface that’s easy to wipe clean. Air-Core™ support layer, made from 100% food-grade polyethylene, provides a firm, comfortable base. Safety buckle and 4-sided contoured design helps keep baby secure while changing. 31.5”L x 16.5”W x 4”H overall.